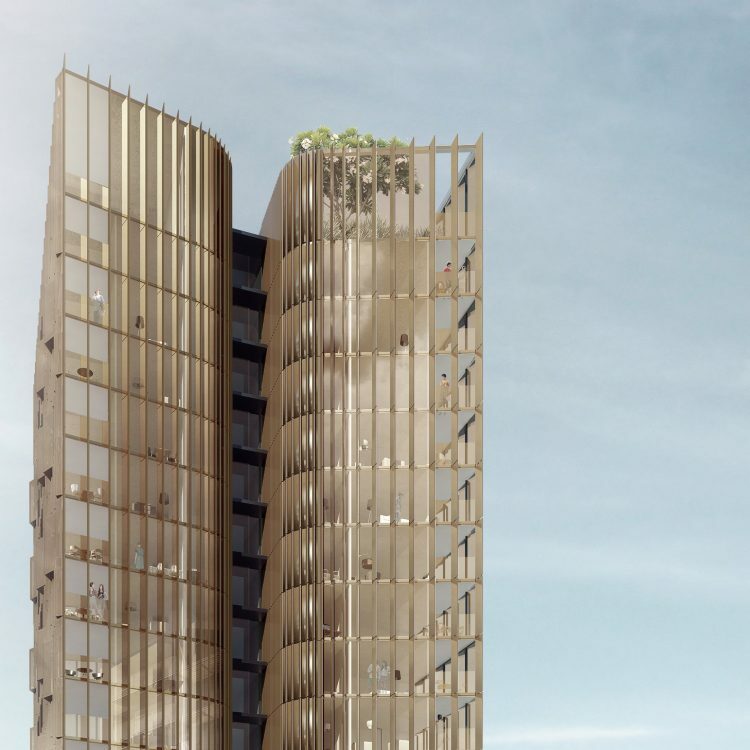 Turner have prepared a competitive design alternatives submission on behalf of the Crown Group for the site known as Lot 12, 44-48 O’Dea Avenue, Waterloo. 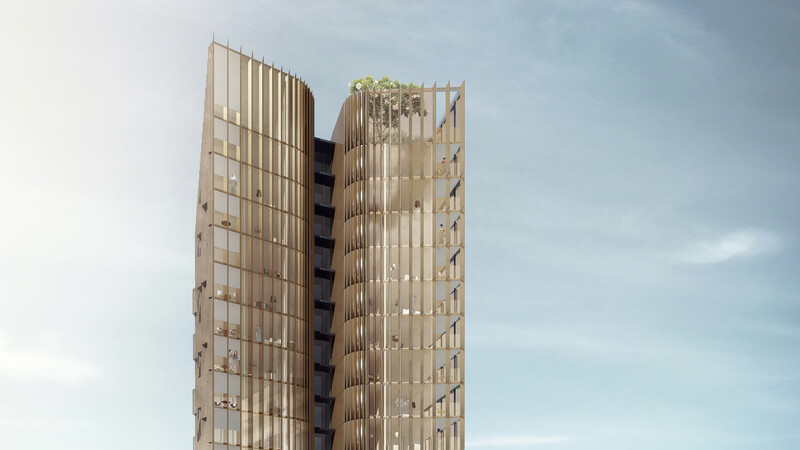 Lot 12 is one of 4 parcels that contributes to the Crown Group’s developments within the Lachlan Precinct, a key urban renewal precinct within the City of Sydney. 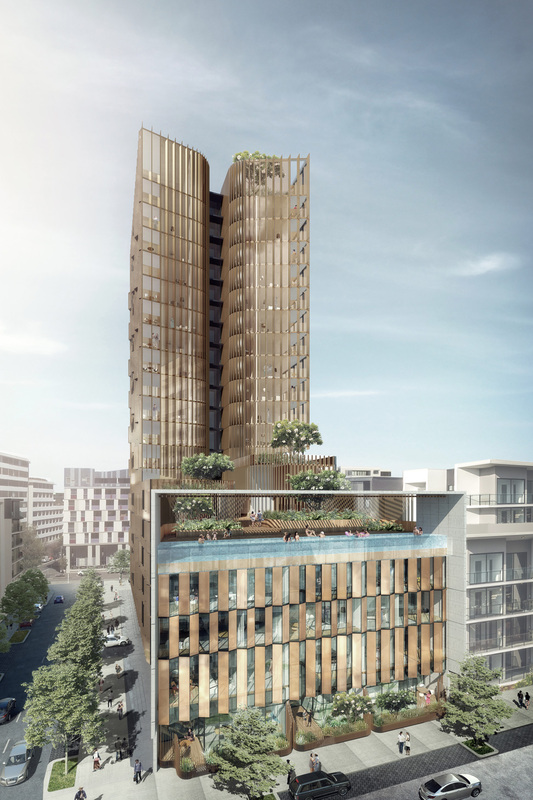 Whilst each of the lots vary in built form and their response to the fine street grain, Lot 12 holds a unique place within the precinct to be an iconic tower form. 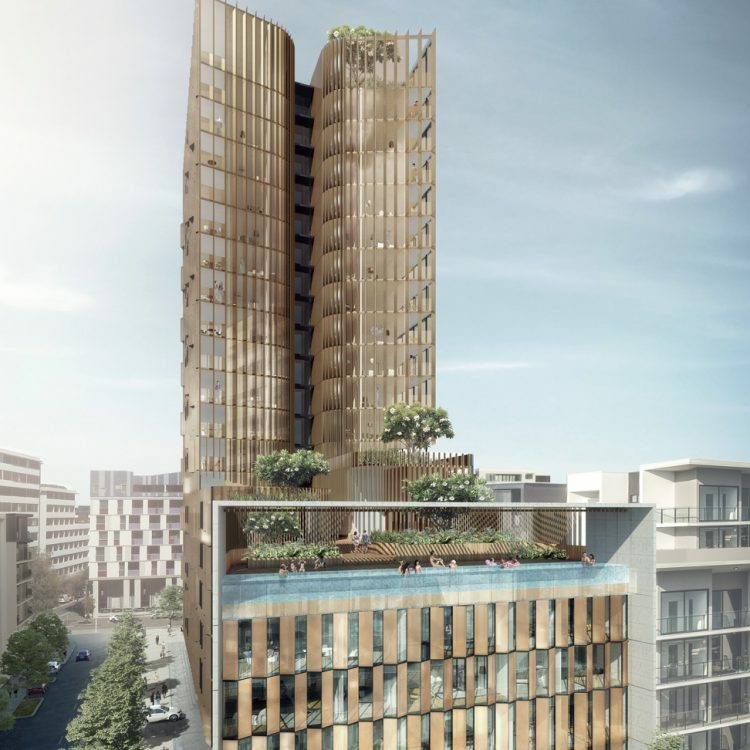 The proposed design consists of a 4 to 20 storey apartment building accommodating 167 apartments, street level retail and a 4 basement level carpark. 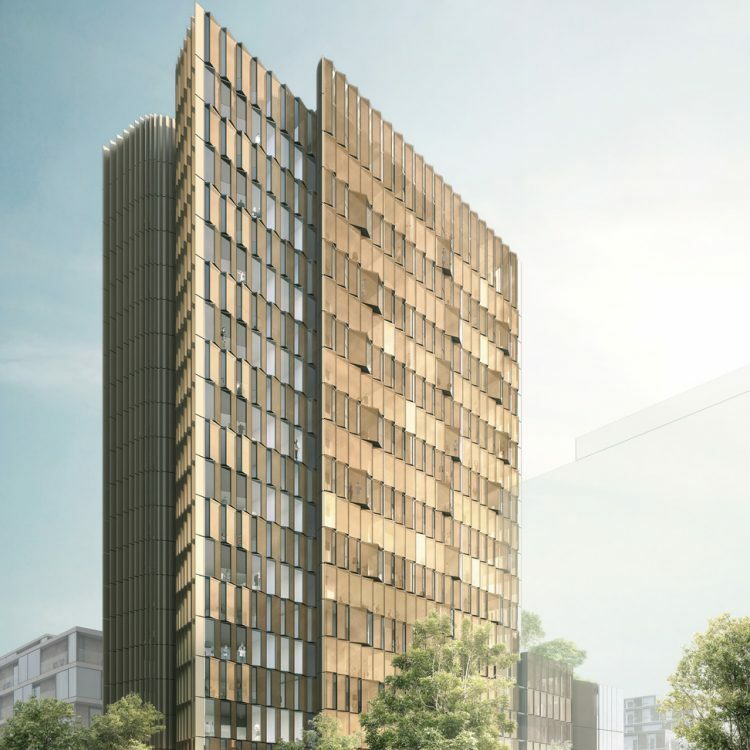 To maximise street level activation parking access and servicing is shared with the neighbouring Crown Group future development. Careful consideration is given to the objectives of Council controls – LEP and DCP and the Crown Group’s aspirational brief. 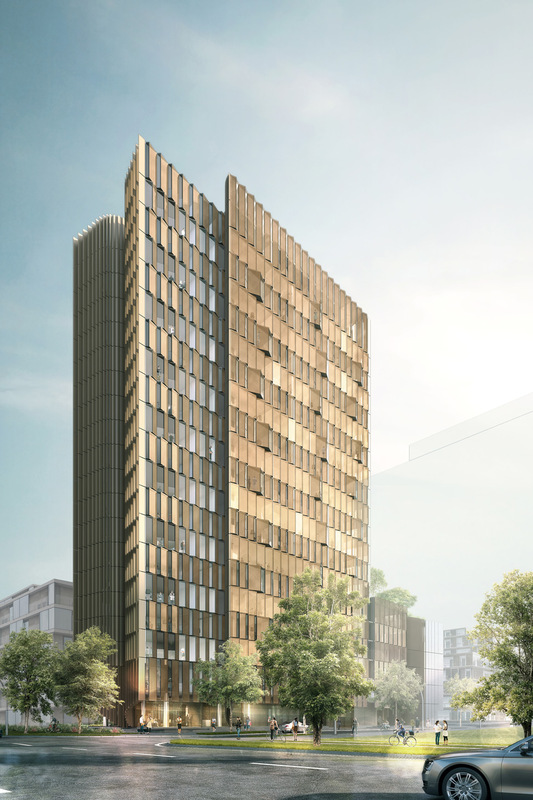 Our response to the site and the building design maximises the quality and amenity for residents and provides a contributory urban design outcome. 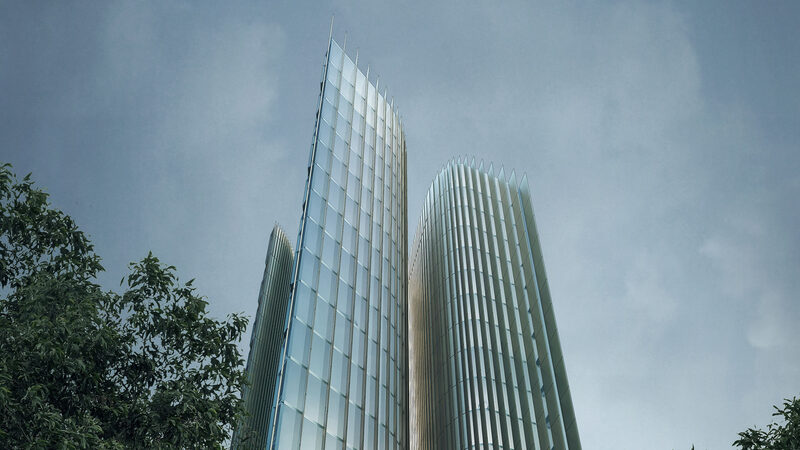 The design of the building celebrates the natural history of the locality. It is based on the historical elements of water that was once abundant in the area. Today water is still present albeit in a more infrastructural management way. 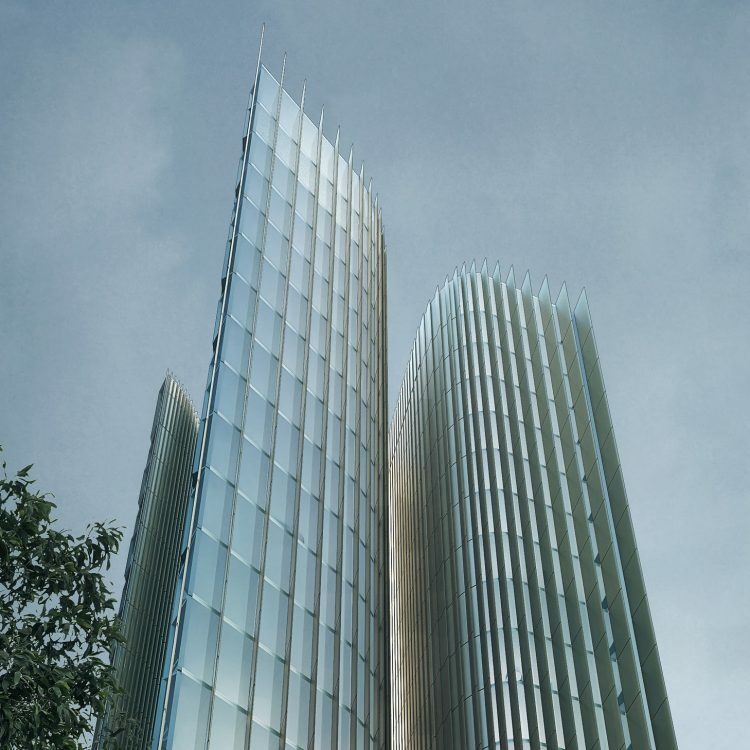 The design aims to embrace this past as a recognition of the sites place within the natural environment.